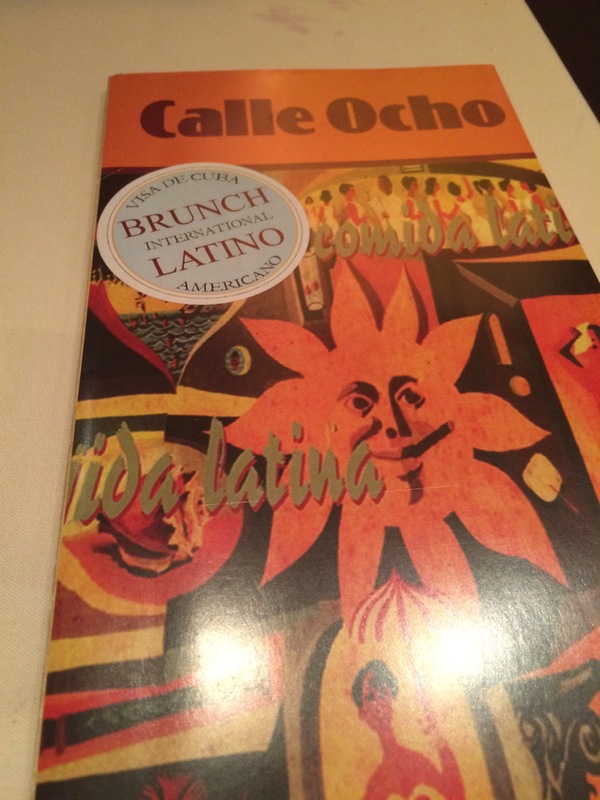 I heard tons of great things about the unlimited Sangria brunch at Calle Ocho! Finally I went on Opentable and made a reservation. The first available table for 2 was a few weeks out! (Be prepared and book in advance). The restaurant is inside the Excelsior hotel. The hostesses were very friendly we arrived about 10 minutes early and we were seated right away. The restaurant is very spacious which is nice since they get so busy. When you arrive, they give you a delicious fresh assorted bread basket with a yummy strawberry butter spread. 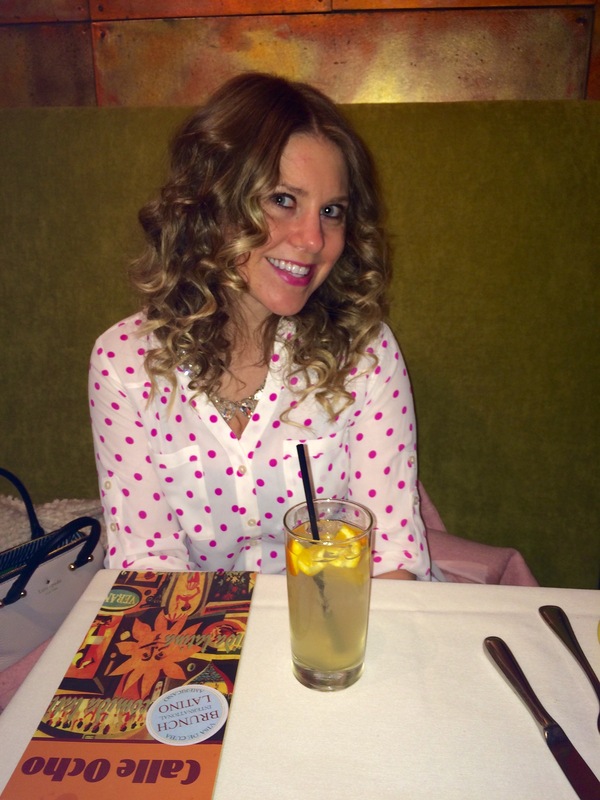 Then you start ordering the sangria! 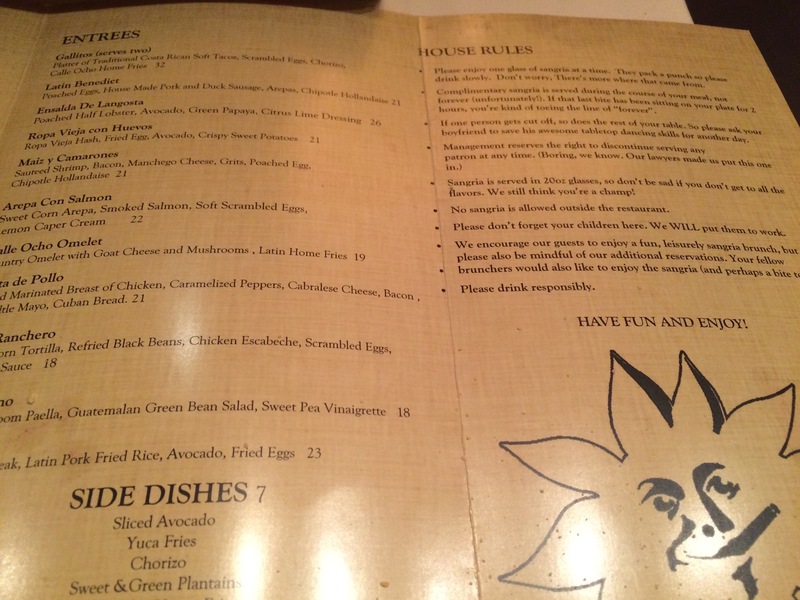 The staff comes around often and you have a variety to choose from(they let you hold onto the menu). 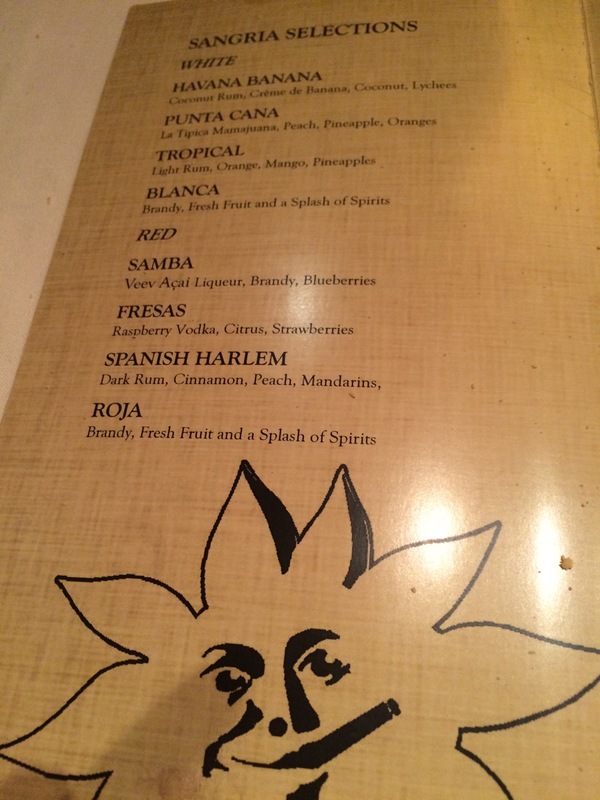 We tried every sangria on the menu red and white. (I prefer red)The glasses are 20 ounce and after the second glass I felt tipsy!! 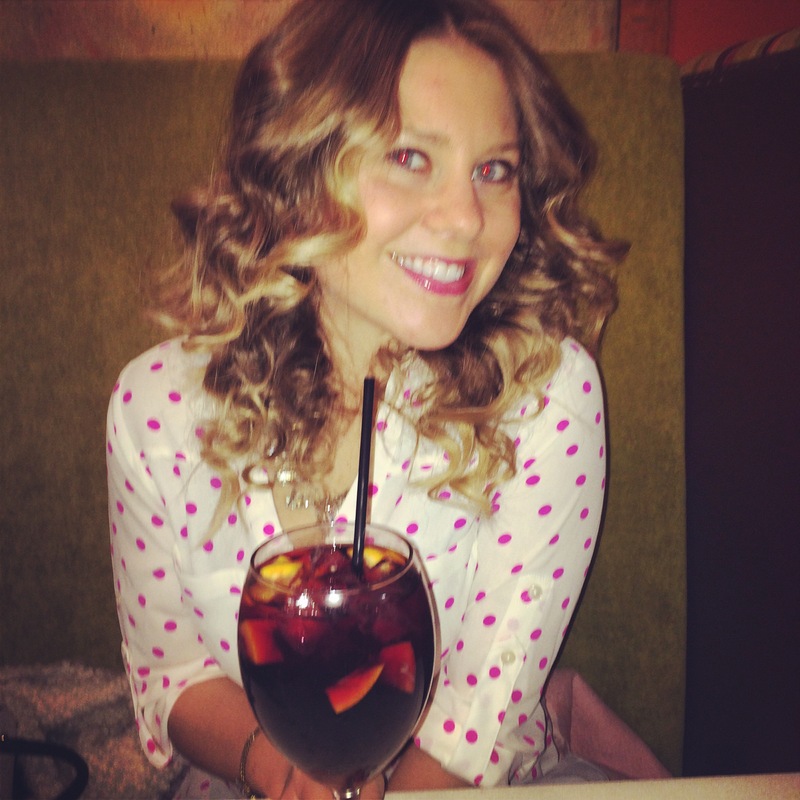 No wonder they have house rules, the sangria is no joke! I ordered Vaca Frita which is skirt steak served with pork fried rice, al caballo and topped with sliced avocado and tomatoe! It was sooo good! 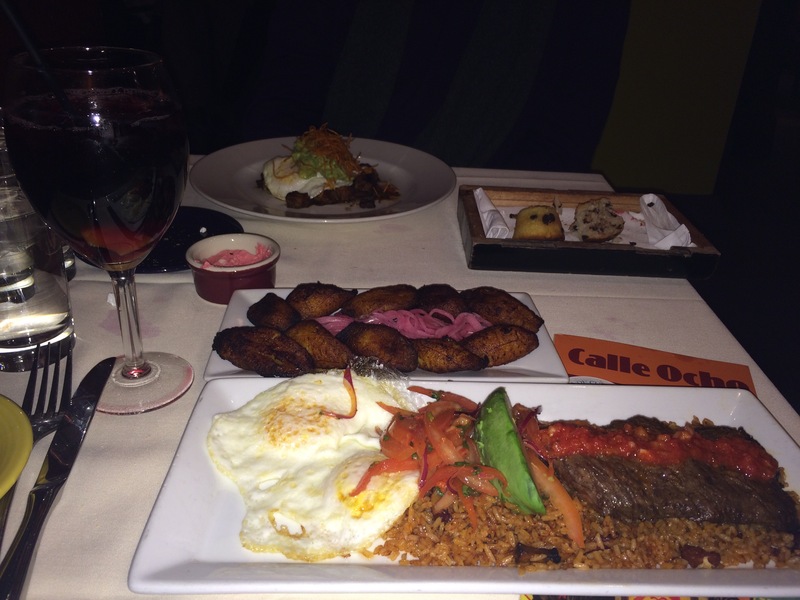 We also ordered a side of sweet plantains. We both cleaned our plates and we were too stuffed to have any desert. We both left in giggles and smiles and made a pit stop in Central Park as the snow fell. (Central Park is right down the street) I can’t wait to go back on a nice warm day so we can stroll Central Park!